Yesterday Sierra Leone’s parliament reopened for another session. It was a colourful ceremony, held in an atmosphere, marred by the continuing exponential rise in the number of new Ebola cases in the capital Freetown and its neighbouring northern districts. Sierra Leone is in serious crisis. The official figures – both economic and the rates of Ebola infection and transmission in the country, was a sobering backdrop for a ceremony that was more of constitutional symbolism. As the country’s economy slows down to a level reminiscent of ten years ago, the World Bank is promising to ensure that essential public services are kept running. 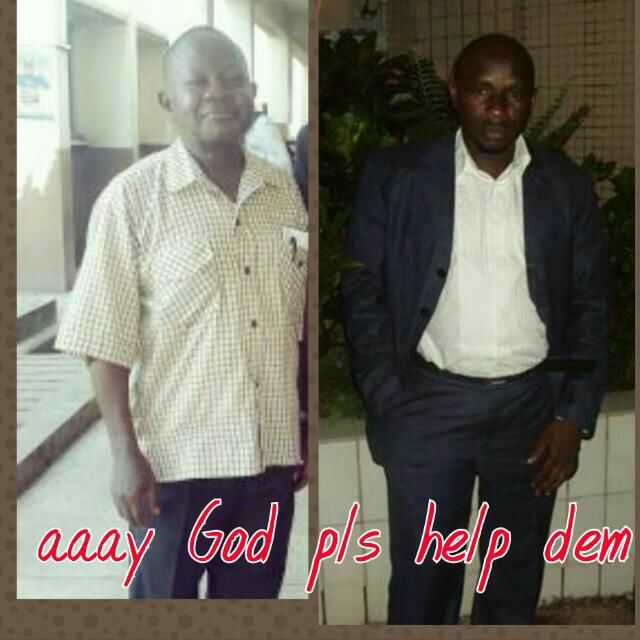 This morning the total number of Sierra Leonean doctors officially confirmed dead yesterday, is two: Thomas Rogers and Dauda Koroma. The third doctor, who is believed to be Dr. Aki Macauley, remains critically ill in hospital. Two highly renowned Sierra Leonean specialist physicians have been placed in quarantine in Freetown. They are believed to have treated one of the doctors who died yesterday. News of the death of the Sierra Leonean doctors did not specifically feature in the president’s speech. But he acknowledged the hard work of the country’s doctors, nurses and heath workers in the war against Ebola. But acknowledgement and big speeches are not enough. Government must invest more of the donor funds on the country’s doctors, nurses and health workers to create better working conditions, safer work practices, and lower doctor to patient ratio, to help save their lives. This time last year, we did not have an Ebola outbreak; and no one in the whole world thought a deadly virus like this would strike our sub region and cause so much tragedy, disrupt so many plans, and put at grave risk the very survival of our nation. This time last year, Sierra Leone won high praise and acclamation around the world as a country transforming itself into a model of post war recovery, a country registering sterling economic growth, a country improving its scores on most indices of governance, peace, investor confidence and democracy. This time last year, thousands of our compatriots from the diaspora were trooping to this nation of their birth, most of them confident that the country was opening up to its great potentials. There were many challenges, but the country was moving on with a zeal that never tires to assert the better aspirations of our people. There were many challenges in the health sector, but the free health care initiative was getting more people into hospitals, and infant and maternal mortality rates were decreasing; there were many challenges with our infrastructure, but roads were being built everywhere; there were many challenges with our energy sector, but electricity generation and distribution were rapidly improving; there were challenges with the education sector, but more people were at school than at any other time, more people were passing public exams, more girls were in school and more resources had been given to universities than at any time in our history. As with all countries, we had our law and order challenges, but the country was more at peace than at any time in the last decades, and our soldiers and police officers were models of peace keeping in Africa. And then Ebola struck. It came to us from a brotherly country that stood firmly with us during our civil war. Ebola is a disease that is new to West Africa, and it is new to us. We sought advice from our international friends believing that they knew more about the disease than us. But Ebola in West Africa presented challenges that no one foresaw. Because of ignorance, fear and denial, our actions and that of our international friends could not stem the spread of the disease. Many doctors and nurses fought valiantly; but the virus created lots of panic among our people. It was very difficult for so many to understand why they must not care for sick relatives as they were used to doing and why they could not bury their dead. It was difficult to understand why relatives of the Ebola-infected living in the same household must be quarantined; why men and women in white suits should come for the sick and take them away to treatment centres. Rumours of ill intent spread; people hid their sick; others fled to relatives living in other places, taking the virus with them. Since the start of the outbreak, over 6000 Sierra Leoneans have been infected. Thousands have died of the virus in the sub-region. May I ask that we rise up for a minute of silent prayer for doctors, nurses and all our compatriots who have fallen victim of this dreaded virus. May their souls rest in peace! Ebola is hitting us very hard because we are a very close-knit society. We are in very close proximity to each other, we can reach each other’s towns and villages in record time; our relatives are everywhere seeking jobs, businesses and other opportunities. That is why a tragedy anywhere in Sierra Leone is a tragedy everywhere in this country. The increasing number of good roads is increasing our daily contacts with each other. Ebola is not a disease of any one district, or region, or country. It is a disease of the world. Globalization, increasing urbanization, faster transportation and denser networks of people moving between rural and urban areas and across borders is fuel for more rapid spread of formerly isolated viral diseases. We note that many countries reacted to the Ebola outbreak in our sub region with a flurry of fear and panic that led to travel restrictions to and from Sierra Leone and our region. But panic is a recipe for bad policies; no country should treat people from affected countries like viruses. We are humans, we are Africans, we are Sierra Leoneans. And because we are humans, because we are Sierra Leoneans, because our will to live is as strong as people everywhere on earth, we will defeat this virus. The fight-back is on. Thousands, including doctors, nurses, lab technicians, contact tracers and other health workers are standing up to fight the virus. They are our greatest patriots. Like loyal soldiers during the war, they put themselves in harm’s way to save our lives. It has been a very difficult battle. But our doctors and nurses have ensured that over 1100 of those infected have been healed. Over 80% of the personnel on the ground fighting the disease are Sierra Leoneans. Sierra Leonean doctors and nurses provide most of the frontline services at treatment and holding centres; Sierra Leoneans are the contact tracers, and they constitute the surveillance and burial teams. The largest treatment centre in the country with 120 beds at Hastings, opened in September, is run by young Sierra Leonean doctors and nurses and they have since ensured the survival of over 350 persons infected with the virus. We salute the doctors, nurses, health workers and others all over Sierra Leone presently working to contain this virus. The fight-back is on, and international support is increasing our capacity to defeat the virus. The United Nations held a special session on Ebola and established in record time the United Nations Mission for Emergency Ebola Response (UNMEER). The World Bank and IMF have approved resources to fight the disease. The British are sending nearly a thousand personnel here and are building several treatment centres with laboratory capacity. The Cubans have provided health workers. The Chinese have provided medical equipment, a lab, and health workers. The WHO and the American CDC are providing invaluable support, and we have had support from the EU, South Africa, Nigeria, ECOWAS, Ireland, Japan, Holland, South Korea and many other countries. That countries and organizations have made commitments amounting to hundreds of millions of dollars is great, and it is worthy to note that the number of those that have disbursed or delivered on their commitments is increasing. But a lot of the commitments made have not been disbursed; they are not yet facts on the ground, and it is only when they become facts on the ground that they could be utilized in the fight against Ebola. Mr. Speaker, Honourable Members of Parliament, there are still numerous challenges, but the fight-back is on. In October, we restructured our response, and placed it under a single command and control, the National Ebola Response Centre (NERC) headed by the Minister of Defence on special assignment as Chief Executive Officer. The Ebola Virus Disease is war against us, and we must fight it with tenacity, resolve and discipline. Our objective now is to break the chain of transmission of the disease and stop its spread. The way to do this is to ensure safe burials; remove the infected from communities into holding and treatment centres; and hasten Ebola tests. With support from our partners, including the British, the Chinese, the Americans, MSF, Red Cross, IMC, Emergency and others, we currently have seven treatment centres. But the total bed capacity in all these treatment centres is smaller than the minimum 1500-bed capacity needed in the country to stay ahead of the virus. Additional treatment centres are being built in Bombali, Port Loko, Moyamba, Tonkolili and Freetown, but even these would not get us to the estimated number of beds needed. Infection patterns are geographically shifting. Hotspots at the initial outbreak of the disease are registering very low infection rates, while other areas have seen spikes. Treatment centres need personnel, and the country is in dire need of these personnel, for without them, treatment centres are non-operational. We are acting on getting more personnel to the country, and more support in training for health workers. Ending the outbreak would require more doctors, nurses, infection control specialists, hygienists, epidemiologists, nutritionists, and counselors. We are heartened by pledges of African countries to send in hundreds of health workers, and the African Union’s coordination of this effort; we also welcome the pledge of 30 million dollars by African Businesses to facilitate the deployment of these health workers to the sub region. But speed is of the essence, if we are to get quickly ahead of the virus. Mr. Speaker, the fight-back is on. We have developed a post Ebola Recovery Plan. This may be modified as we move along, but we will stop this outbreak and recover from it unto greater strength, wisdom, and action. The Ebola outbreak has created great difficulties for the achievement of goals we set out in our Agenda for Prosperity. But this country will overcome these difficulties; we will defeat Ebola and ensure recovery.